The Vanatoo Transparent One powered speakers set a new price/performance benchmark in the audiophile world. They produce unexpectedly great sound quality (honest, tight bass down to 48Hz!) from small bookshelf speakers that give you a lot of flexibility in how you use them. They are equally at home as a desktop audio system, a music streaming solution for a room where you want music but not stacks of equipment, or as a compact system you take with you on your weekend getaways. Just the Facts: 48-20,000Hz +/- 3dB response at 90dB+ over listening window; 5 ¼ inch aluminum cone XBL woofer; 1 inch silk dome tweeter; 5 ¼ inch long-throw passive radiator; 60 watt/channel D2Audio amplifier with integrated DSP; Built in DAC with USB, coax, and optical inputs; Analog input; Volume, bass, and treble controls; Subwoofer output with auto-sensing (removes bass from Transparent One); 3 year warranty; Supported by the people who designed it and know it best! I enjoy receiving free products. How do you do, Vanatoo? Gee, just by being registered I'm automatically entered. Great! Let's check the fine print -- nope; non US residents need not apply. Again. Just another of the many benefits of NAFTA. Says my music when played through Vanatoo speakers. I'll take 'em! You should totally do more giveaways Michael. Doesn't always have to be expensive equipment, a nice LP from time to time. Thanks for keeping thing fun and informing on the site. I'll find a use for these!!! I could really use these at work. Nothin better, Vinyl, Vanatoo and Vino! Got two already just need the Vanatoo. Great for bedroom or desktop! Are these shielded to avoid interference with use of a television? In the market for some new speakers - these would fit the bill nicely. These would be nice in an office system. I've been enjoying reading analog planet daily for over a year now since I converted to an analog sound. I'm actually surprised it took this long and a chance for a pair of speakers to set up an account here. What else do I use the account for? I heard nice sound coming from a room packed with lots of people... as I made my way to a visible spot I was shocked that all that sound was coming from such small speakers. Pretty darn stunning! I'd lover to have a pair. I heard these a couple of years ago and was amazed at how they sound. I'd love to win a pair, but I never win anything. Maybe someday, but I can't hold my breath that long. on Michael Fremer's Ananlog Planet blog? 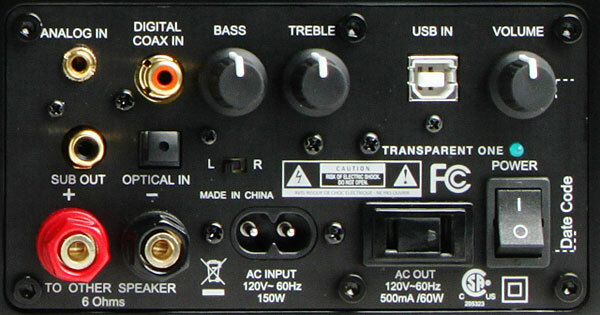 This will hook my college son into a lifetime of consuming ever-increasingly expensive audio equipment instead of taking vacations or buying his wife jewelry. hahaha. These would be Great !!! Finally separating the turntable from the tv speakers when I move soon, so winning would be amazing. ...like I did on that American Hustle post the other day. Wait, did I get that title right? I've always been a fan of powered monitors although I have to admit I've never heard of Vanatoo speakers. Nothing like a chance to win some nice speakers. Please add me too to the Vanatoo sweepstakes! A nice item for which I am sure I would find a use. I could use a new set of desktop speakers. For the fact that Wine and music go so well together and what I spend most of my time enjoying. Why don't more people make powered speakers? I would like to hear this model. I could really use these on my Desktop. As MK said - You Might "Get Lucky"
I'd love a pair of these! These would be perfect for what my dad is wanting to do. I can find a use for these! If I get chosen that is. I need these for my classroom! Has any post here gotten more comments? If a glass of wine comes with it, count me in. I enjoy having nice things. You got two speakers. I got two ears. Perfect! I need these active monitors. These would be a nice addition to my home office. I could use these at work. Thank you !! Would replace smaller Audioengine models. These will fit perfectly on my desk!! Sign me up! Best of luck to all! I am interested in hearing these. So it would be fantastic if I won these. 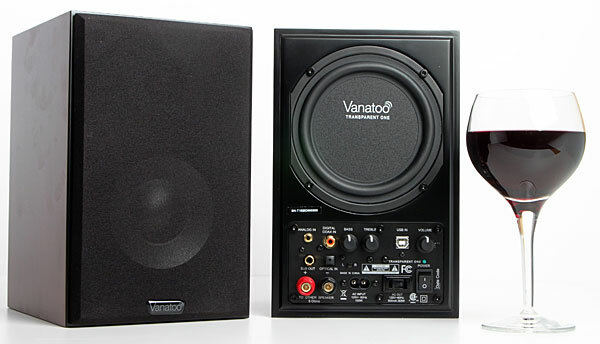 I agree that speakers and wine go together, both to be consumed and enjoyed at great lengths. Speakers look great.. would love a new pair. Thanks for the opportunity to win! Good Stuff for free....Great Combo!! Maybe a little luck today? Please karma, pay me back today. These would be nice to have. Pick me!!! I'd love to add these to my tiny basement office, since my old American Acoustics floor speakers don't fit (plus they need some repair work). Poor grad students love free stuff! Should have registered long ago. These would be great for open spot on desktop. My desktop will be happy, too. I need an excuse to buy a subwoofer! I win every contest I enter in, and I'm going to win these. The rest of you might as well withdraw your entries. Saw these at the DC show very nice. Hope you get the speakers! Also congrats for Mr. Fremer for this wonderful site - part of my daily reading. I'm listening to an array of 20 BOSE wave radios and a crosley turntable that is on fire and also water damaged at the same time. I wish to win the speakers! These would be great in my office. Sure looks like a nice speaker! They would look awesome on my desktop. Yeah, I'll make an account on any website for a chance at getting something free. These will leave more room on my desk than the Advents currently do! I need something to keep me distracted from the cold weather moving in. Look at the knobs on that! I'll take a pair, please. Pick me and I promise to take good care of them! Pick me, I like speakers! If only Santa would bring g these down my chimney. I heard these speakers last year at RMAF and they were amazing for the size & price. I'd feel like Charlie and the Chocolate Factory when he finds the golden ticket!!! But where do I insert a record?? If I win, my son will be very happy! Should of joined long time ago. I check out this site daily. Vanatoo makes a quality product!! Fancy! I could use a set of those to knock my system up a notch. Free Speakers sounds great to me.